There are many ways to propagate orchids, and some are more difficult than others. 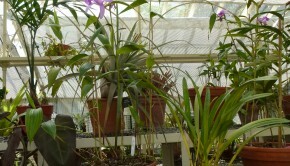 Orchids can be propagated by division, seed or cloning. They can also be propagated sexually or asexually or by tissue culture. The easiest way to propagate an orchid is by division if the orchid grows from a horizontal pseudobulb. 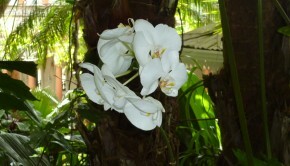 These types of orchids include the Cattleya, Cymbidium and Laelia. These types of orchids should be removed from their pots, then you need to carefully cut off dead roots with a sharp sterile knife, then divide the bulb. It is ideal to plant at least three bulbs in a pot and try to save the original bulb as well. What are backbulbs? These are the older pseudobulbs that would have been removed during the division process. Often they look as though they have died, however, you can sometimes bring them back to life by dipping the bulb in a rooting hormone. Afterwards you need to set the bulb in a tray of sphagnum moss. It is important to keep the moss moist. The tray needs to be kept fairly warm where temperatures are at least 65 degrees F. You could even create an additional “greenhouse” by wrapping the tray inside a plastic bag to trap the humidity. Usually the backbulbs resprout within two months. Phalaenopsis is one of the more common orchids, often sold commercially in stores. On this type of plant, a small “keiki” usually grows on the mother plant. Leave them be until they are large enough to have developed their own roots. Gently slice them off and pot them on their own. Starting orchids from seeds can be challenging because the seeds are so tiny, and they can easily travel in the wind. It can be difficult to get them to germinate. You must use mycorrhizal fungus as food for the seed. 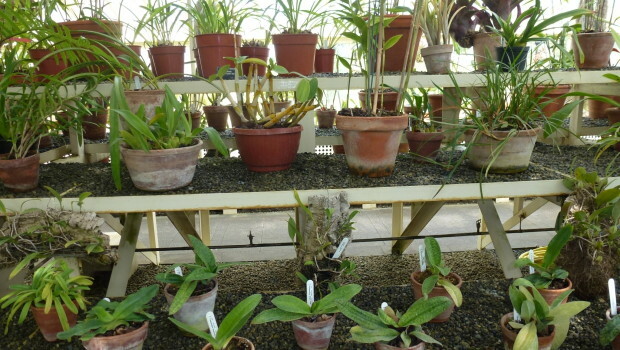 Because of the high sterile conditions required, usually only specialists and experts grow orchids from seeds.